Bitwine Online Psychic Network is an established and well-known psychic network. It is operated by professional psychics who offer important insight and information about peopleâs problems and issues. At the same time, they offer different online psychic consultations at pre-determined prices. This psychic network has also developed a very satisfied customer base. At the same time, their website is very easy to use. It also contains an informal chat setting that enables people to enjoy a psychic reading in the comfort of their homes. Unlike other networks, this company features a wide range of psychics with different areas of expertise. The psychics have undergone a rigid screening process. This is done to maintain professional expertise and excellence that Bitwine strives hard to maintain. What is very nice about this network is that their initial introductory chat is always free. With this, people do not have to register to have their fortunes read. Clients can also request their psychic to supplement their chat with a full video and audio connection. This will help people experience a much more personalized psychic reading in the comfort of their home. This feature is available for participating advisors only. At the same time, some psychics provide a wide range of unique offers from time to time. Some of the offers include two questions for $10.00 or a detailed email reading for only $15.00. With these offers, there is no reason why customers should not try out this psychic network. To help customers obtain the psychic reading that they want, BitWine provides them with a wide range of specialties to choose from. These areas include the following. A great feature of BitWine is that customers can see the psychics that specialize in these fields with the click of a mouse button. Additionally, the site contains a brief introduction for each psychic. You can also learn more about each psychic by clicking on the more details found button. On the more details page, you can find client reviews. This helps them determine if this psychic will suit your needs. All sessions that are conducted are completely confidential and private. Customers can also choose to maintain their anonymity. At the same time, BitWine closely monitors their psychics. They also encourage customers report a psychic to them if they are asked for their contact information, email address, bank account or credit card number. In order to pay their advisor, customers only need to provide their Paypal account. If they currently do not have one, the BitWine system can set one up for them absolutely free. Using this payment method, Bitwine helps customers be safe with their transactions online. People can only start paying for a session if they are confident that a particular advisor can help them. It is also one of the main reasons why BitWine established an introductory session. This helps customers gain the level of trust that they need before they decide to pay for an advisorâs services. After a customer has agreed, they will be charged according to the minute rate that a given advisor requires. They can also end the conversation at any moment they choose to. What is great about this service is that clients only have to pay for the total amount of time that they have spent. Money will be transferred from their PayPal account to an advisor’s account shortly after the call has ended. The Bitwine Online Psychic Network Review also features a great community forum. This forum includes a wide range of sub-topics that online users can read. One of the sub-topics that clients can access is the articles and news forum. This contains a wide range of topics that will leave people in awe of the psychic world. It also includes information from BitWine and other customers. Another sub-topic available at the forum is the BitWine advisors forum. This is a great place for psychics to interact and benefit from the experiences of their peers. At the same time, it helps them bring up general concerns and issues. Both of these forums are monitored by BitWine staff. Bitwineâs featured advisors are the forum where the psychic networks feature a number of interesting and commendable advisors. 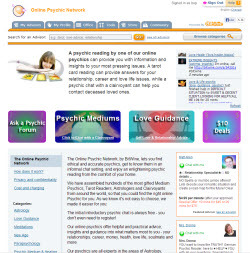 One innovative sub-forum found on this psychic network is Ask a Psychic. This is designed for people who do not know what psychic to contact. By simply posting their question on this sub-forum, people can have BitWineâs community of experience psychics give them advice. BitWine has an online store that sells a wide range of materials for both psychics and customers alike. Some of these materials include mystical and spiritual supplies. At the same time, all of these products have been made from high quality materials that can last for a very long time. One of the products that is featured at the store is BitWineâs Removing Jinx Contra Fluid. This range of products is designed to remove a curse that someone has placed on a person and their loved ones. The Love Amor product line is designed for people who need more love in their life. Some of the products included are Estrus perfume, Love Ouanga, Love Soap and Attraction Candles. At the same time, Bitwine also sells a wide range of money attracting products. Some of these are the Mr. Money Cologne, Money Mist, Big Money Candles and the Money Drawing Shop. BitWine also supplies a wide range of talismans, jewelry and charms along with crystal balls and tarot cards. The BitWine Online Psychic Network is far beyond the majority of the competition out there. It also knows how to make the customers very happy. This site has a psychic screening process that helps provide customers the best psychic reading that their money can buy. Bitwine also offers more reading options. Their web site is very easy to navigate. At the same time, the satisfaction guarantee and psychic rating system indicate that they have a desire to provide a high level of service for their customers. Or Call Toll Free 888-628-1444 To Speak To a Psychic Now!